A must-have for Engineers, DIY’ers, and Makers. These jumper wires are female-to-female and consist of one end with a 0.1” (2.54mm) female header and 0.1” female header on the other end. They’ll attach snugly to standard 0.1” pitches. 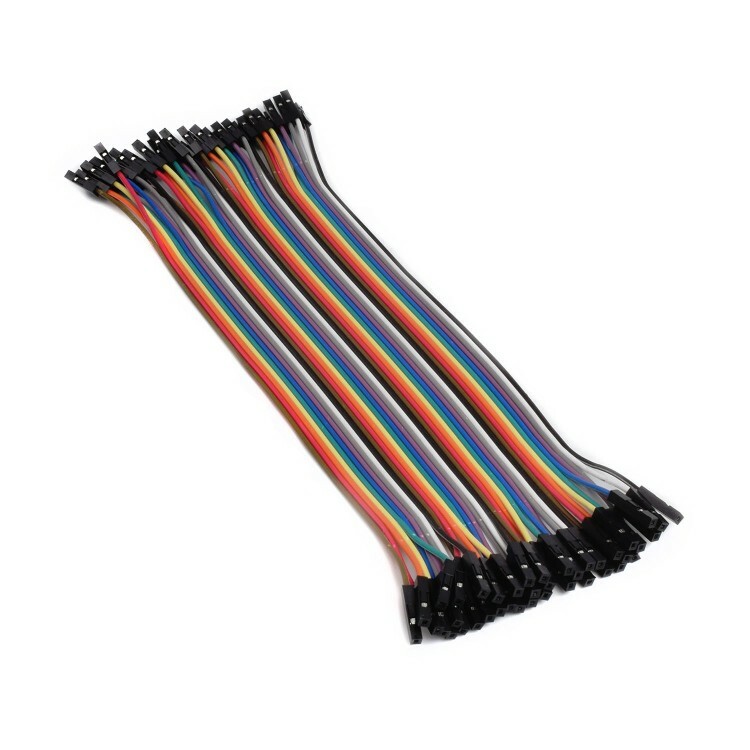 7.9” (200 mm) in length, they come 40 in a bundle with 4 strips of 10 wires each. You can peel the cables apart if you wish to use them separately or keep them attached for ease of connecting.